but have managed to suppress myself out of my memories. Paul Zits received his MA in English from the University of Calgary in 2010. Massacre Street (UAP 2013), the product of his creative dissertation, went on to win the 2014 Stephan G. Stephansson Award for Poetry. In addition to serving two terms as Writer-in-the-Schools at Queen Elizabeth High School in Calgary, teaching creative writing to students in the Gifted and Talented Education (GATE) program, Zits is a regular instructor with the WGA’s WordsWorth Camp at Kamp Kiwanis. 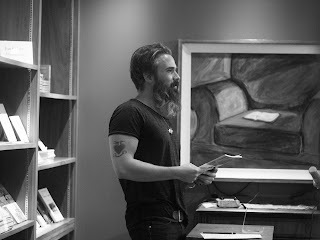 Zits is currently an instructor with the Edmonton Poetry Festival’s Verse Project, and the Managing Editor of filling Station.